Are you into medieval and gothic furniture and home decor? I think you are going to be very pleased with the pieces I found! They will take you back right into the 16th Century! From life-sized knight suits that look alive to amazing medieval tables and dragons, goblets and shields, swords and sculptures and even some cool medieval lamps and lights, you will find a cool piece here! *This is a life-size medieval armor knight suit sculpture for sale! He is almost 7 feet tall! The knights had to fight and serve their Lords back in the middle ages and he also had to protect the castle. Boys had to start training to become a knight from an early age and the training was very hard! Now you can have your very own knight, to protect your house! This beautiful medieval knight sculpture has a gorgeous faux silver and brass finish! Great piece to make your home look just like a medieval castle! Fully Wearable Black Knight Suit of Armor Naturally Aged! Another stunning life-size black knight suit straight from the 16th Century! It is a great piece to have on display if you are interested in realistic medieval home decor! *You can also wear this yourself and become a real black knight! Sword and all! 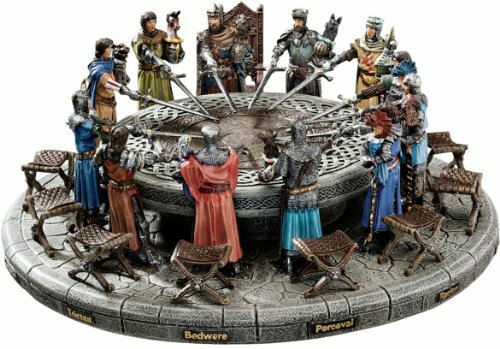 What a gorgeous and highly detailed sculpture of King Arthur and his knights by the round table! As you can see the figurines are colorful and each one has their own chair! 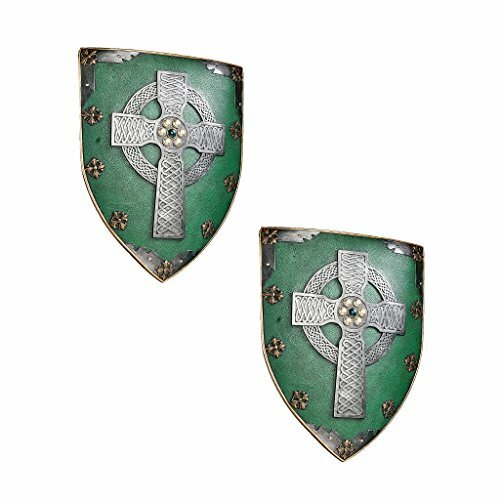 You will get TWO awesome medieval armor shields to hang on your wall! They look just like the real shields that all Celtic warriors used to carry when they fought their battles! 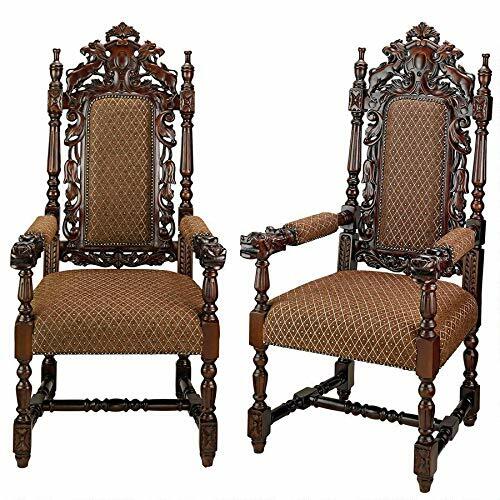 This is a stunning all-hand-carved set of two solid hardwood 17th-century replica of medieval armchairs for sale! Can you imagine having these in your medieval living-room? Check it out fellow medieval furniture lovers! How’s that to complement your medieval decor? It is a gorgeous and highly detailed dragon castle king’s throne armchair for sale! 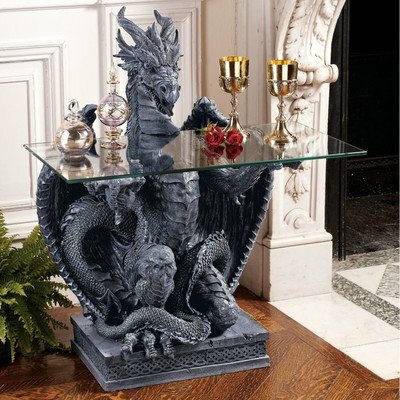 Hello, glass-topped medieval dragon table! 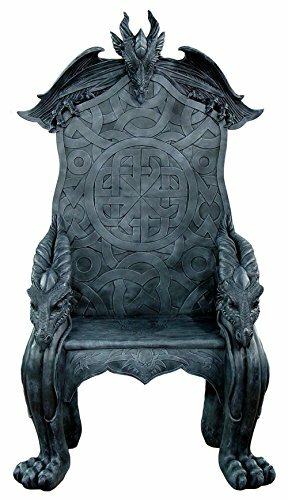 Isn’t it absolutely perfect to have by the dragon chair? 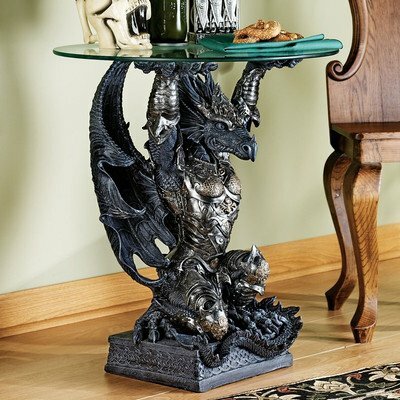 Very unique piece if you are into dragons and gothic home decor! Another stunning and very realistic dragon table for sale! How cool and unique is this winged dragon toilet paper holder? 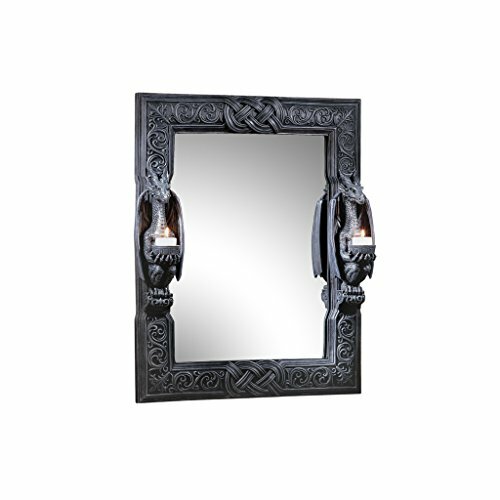 We can’t talk about medieval home decor and Gothic decor without showing a cool medieval-style wall mirror too! Perfect to hang on your castle! 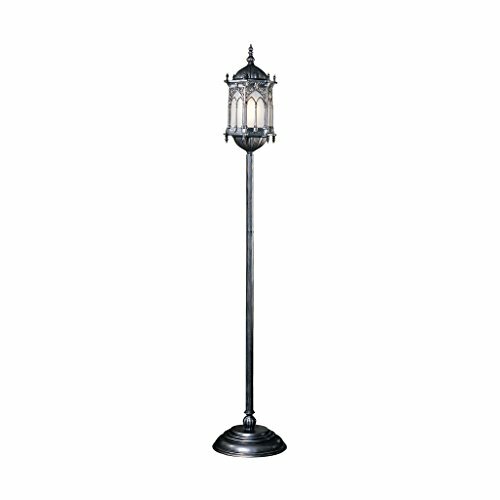 Another great piece to complement your Gothic and medieval home decor is this gorgeous medieval floor lamp! Great to have next to your medieval chair! It has a gorgeous bronze finish! 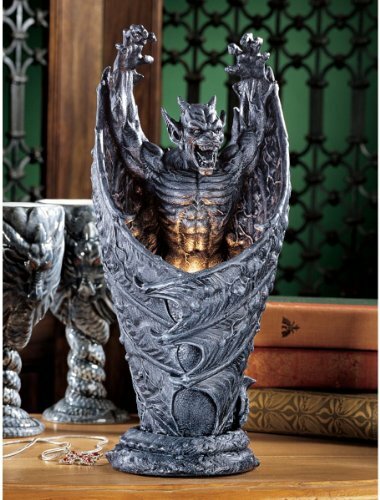 That is one scary medieval vampire dragon Gargoyle lamp! He is so realistic that you literally expect him to start flapping his bat wings and fly away! What a stunning Gothic end table! 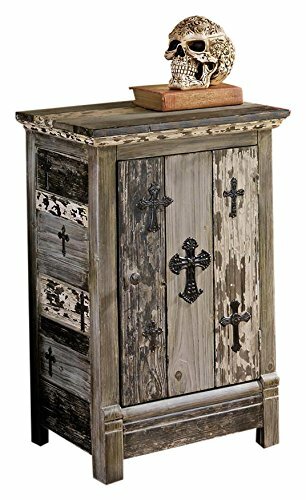 Awesome gift idea for any Gothic furniture lovers! It is a medieval dragon! Carrying your mail on his head! 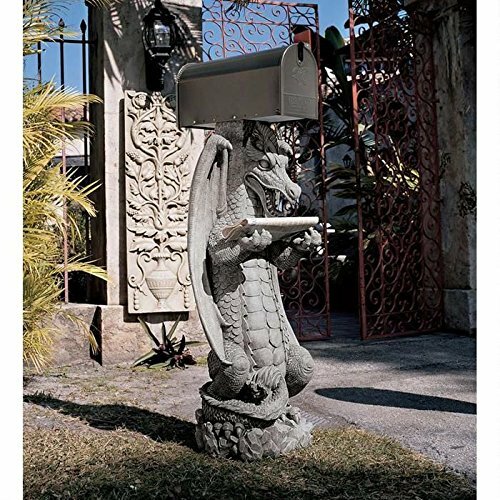 What a fun and very cool medieval mailbox statue for sale! Are you interested in creating your very own ‘medieval kitchen’ too? Then get this awesome medieval halberd for sale! How would you like to sit on a very cool medieval era design bench in your home? Made using solid distressed wood and very smooth leather!